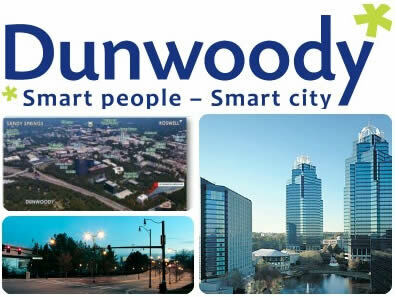 Dunwoody was incorporated as a city in 2008. Located in Dekalb County, it’s a northern suburb of Atlanta with several affluent neighborhoods making up its core demographic. The Perimeter Community Improvement District resides within the Perimeter Center neighborhood, of which Perimeter Mall is a part of. It’s known as the Metro Atlanta’s largest job centers. Located close to Downtown Atlanta and North Georgia attractions, the Dunwoody MARTA station helps commuters travel to the city for Braves games, Falcons games, Hawks games, concerts and more. Tree removal in Dunwoody requires residents to abide by ordinances for the city of Dunwoody. You need a permit to remove any tree greater than 6 inched in diameter. Even dead and dying trees require a permit to remove the tree. All trees on public property are protected and require a special permit from the Dunwoody Arborist Division. They will have to inspect the tree to see why it needs to be removed and you may still be required to replace the tree with a similar species either in the same spot or on the property.